Hmm. I'll bring it up and see what the issue might be. Can you clear your cache, go into private / incognito mode and try again? What's done? You were able to place the order? Others have had difficulty trying to make a purchase using a credit card not already registered to the account. You may need to contact the Webstore directly. it was available but now it'S not there anymore? @Charles. 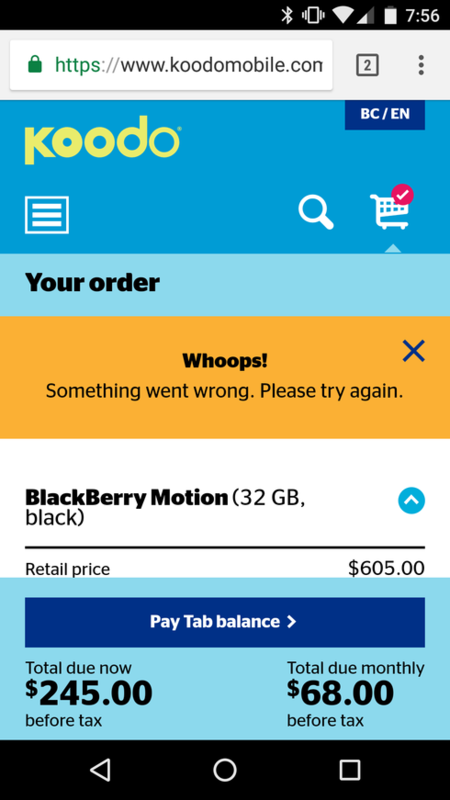 At the moment it doesn't look like Koodo has any BlackBerry phones for sale online.